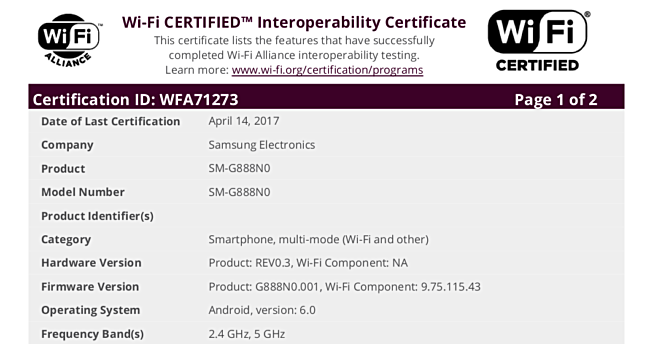 A new Samsung smartphone has been granted WiFi certification by the WiFi Alliance (WFA). The phone, the listing reveals, carries a model number of SM-G888N0, and runs Android Marshmallow (version 6.0). As is usually the case, nothing else is revealed by the listing. And given that this is the first time we're hearing about this device, no other details about the phone are currently known. But needless to say, we'll keep you updated as and when we hear more about the handset. Has to be a mid-range phone.